Are you stuck wondering what the best IT investments of 2017 are? Well, if you find yourself asking this question this article is for you as I will be detailing the top three IT companies to invest in for 2017. It is now 2017, and this means that there is now a whole new range of IT businesses that have opened because technology has continued to evolve over the years. By technology continuing to develop it means that there is now new gadgets and services available out to the public that never has been before. It is also important to include that if you aren’t sure what IT company to invest in you can always contact a brokerage firm such as CMC Markets. These brokerage firms provide insight on what stocks you should invest in as it is their job to study the stock and currency market for Forex. Below I am going to detail the best IT companies to invest in for the year of 2017. You may be wondering to yourself, ” What television show am I going to end up binge watching this weekend?” It is now 2017, and more and more people are asking themselves this question and the reason this issue is so commonly brought up is because of the popular online film and television streaming service Netflix. 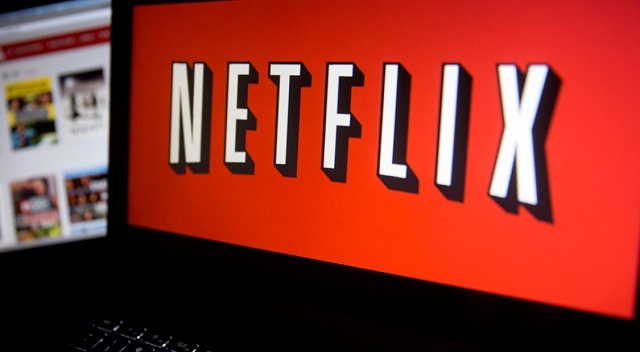 Netflix has become a household name as we now live in the age of the millennial and this is one of the main reasons to why Netflix became as popular as it has. It is basically an everyday fact that millennials hate waiting for things, and this is why Netflix is so popular as the streaming service releases all of the television episodes in one go. This has led to the popular term of ,”Binge-watching,” as this is when you watch all of the television episodes in a series in one go. Millennials love this as they don’t have to wait weekly or even monthly for a new episode of their favourite television show. The following reasons above are why Netflix’s stock has continually risen over the past couple of years. For example, at the end of 2016, the streaming service was expected to make $8.7 billion in revenue. Now, if you thought that was impressive, it is also important to note that, that $8.7 billion is an increase of a whopping 23% from the previous year. This financial performance shows that this company is continuing to grow each year and this is why this is a great company to invest in. The bottom line is that this online streaming service continually rises in its stock sales which show the company is not slowing down anytime soon. This is reason enough to prove that this is a great IT investment for 2017 as by the corporation’s stock continuing to rise it shows that the service is almost one hundred percent guaranteed to make you a good profit. To conclude, five years ago you probably were thinking to yourself,” There is nothing that will ever be as big as the social media platforms of Facebook and Twitter.” Well, let me tell you that it is now 2017 and your remark is completely wrong. Snapchat has become by far the most popular social media platform for millennials as we know millennials get bored rather quickly with only communicating via messages so why not have a social media platform in which you communicate with pictures other than messages. Snapchat allows you to communicate by sending pictures and videos as communication methods, you are only authorised to have one line of text, and the best part is that the image or video will disappear forever once you have opened the picture unless you screenshot it. This has led to mass popularity online as we all know millennials love a mystery when it comes to messaging online. The following reasons are why Snapchat’s stock has continued to rise over the years. For example, in 2016 it was recorded that Snapchat was worth around a rather hefty $20 billion. However, if you thought that was impressive, it is also important to note that it was recorded in the first quarter of 2017 that the company is now worth an incredible $29 billion. The continual increase of money for the social networking platform shows that millennials aren’t getting bored of this social networking platform anytime soon. The increase in stock indicates that this social networking app is a great IT investment of 2017 as it is almost guaranteed to make you money as its shares continues to rise.